The confusion and questions around certain SEO strategies are mounting as the landscape continues to change. What’s still effective? What’s been rendered obsolete? Sometimes we’re forced to play the deadly game of trial and error to get the answers. Others, we’re lucky enough to get some expert insight. Matt Cutts recently shared some knowledge that is no doubt a relief to many of the old school SEOs out there. In response to a question from Eric Enge, who during an interview asked if link building is now a prohibited practice, Cutts said that only some methods are considered illegal. He also noted that Google wants SEOs to change the way they approach the link building process. Instead of chasing down links, the search giant wants you to find clever ways to bring links to you, more or less. The Matt Cutts interview got us thinking of the many ways to acquire the vital links that still bring a lot of SEO value to the table. Here are a few you can add to your existing strategy right away. Links generated through social media are now more essential than ever to the SEO mix. Shares, recommendations, and other forms of social activity are viewed by search engines as signals that vouch for the value of your content. This activity may hold even more weight with Google Plus, which shows partial favoritism to content published through the platform. Google Plus is also the bridge that connects content owners to authorship and Author Rank, which combine to form one of the hottest trends in SEO. As it relates to link building, social media is all about recognizing the importance of forming relationships with the user and getting them involved. The more they’re liking, retweeting, and sharing, the more value they are creating for your efforts. There were times when quantity was actually weighed favorably into the ranking equation. The more you were able to tally up, the more value you built, which is why link farms were able to become such a big deal. Times have changed, and these days, it’s definitely quality over quantity. 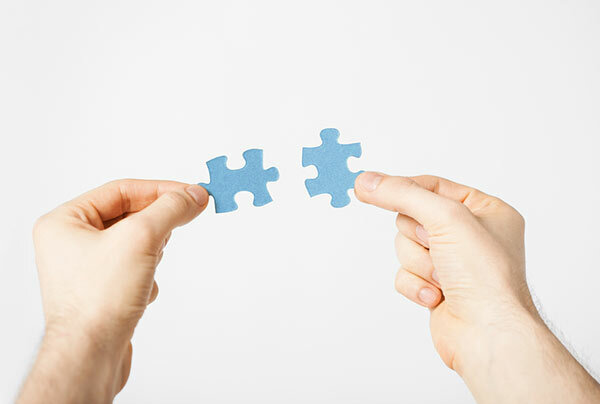 Instead of connecting with any site, look for opportunities to link up with sites that specialize in your niche. And the better their authority, the better their link juice. Needless to say, you’d rather have five links to reputable, relevant sites than 50 to unknown sites that see little traffic. What’s the point in executing a link building strategy if you’re not going to stay on top of it? Your efforts will be far better served if monitor your progress. Mainly, you want to understand where your links are coming from, while making sure everything is clean and free of broken links. Google Webmaster Tools is a perfect tool for the job as it allows you to track your links and make sure you’re not in any danger of being penalized. Even if you do identify problems, this type of visibility will help you quickly address them and minimize the damage. With technologies such as social media and voice search rapidly evolving, we may eventually reach a point where links are completely obsolete. We’ll worry about that in the future. For now they are still valuable components in the increasingly complex SEO equation. It is critical for webmasters, marketers and business owners to understand their worth and more importantly, how to maximize it.